Most of us can still remember times when grandma knitted peacefully for someone in the family, patiently weaving row after row with the certainty of fabulous results. This collective childhood memory has inspired many to reinterpret this form of pattern repetition within our modern environment. 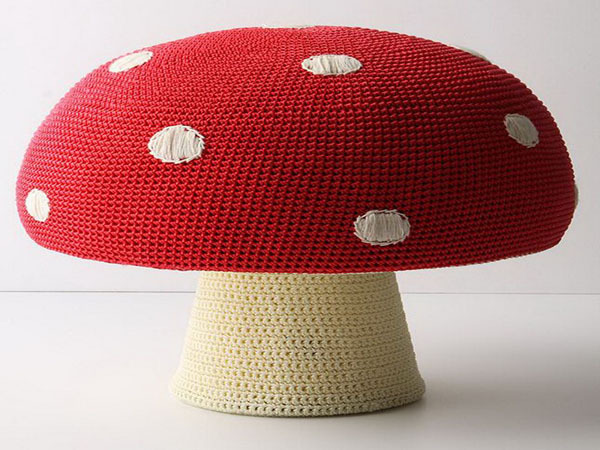 From knitted cushions to knitted street art, we’ve seen this love for warm, versatile materials spark creativity. 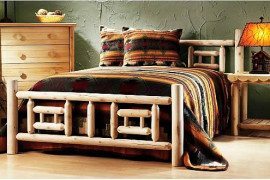 Inspiration taken from different cultures. Techniques and materials that speak about the importance of historic values within our modern society. 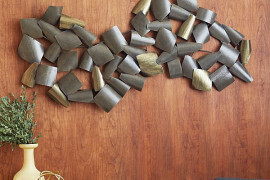 Colors, textures and twists. Yarns and needles. 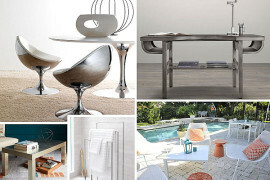 All of these elements and more contribute to creating a warm residential environment connecting cultures and technologies. 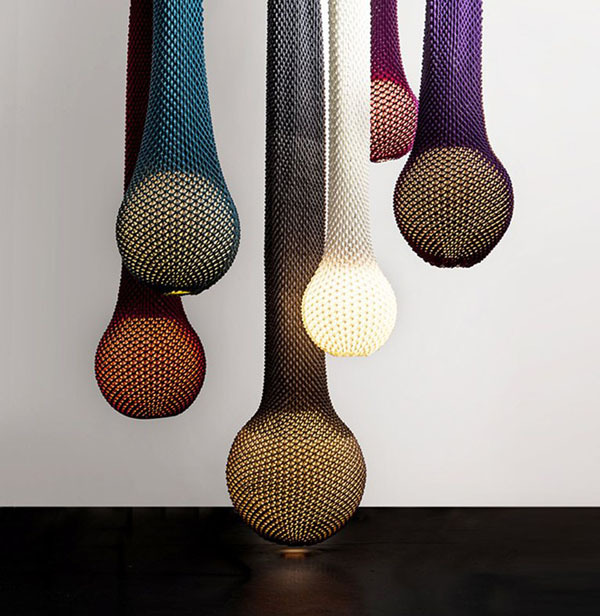 Ami Collection by Francesco Rota for Paola Lenti -handmade knit tubular chains on metal frame. The bedroom is probably the most obvious residential space that can carry knitted furnishings, creating a warm and welcoming environment. 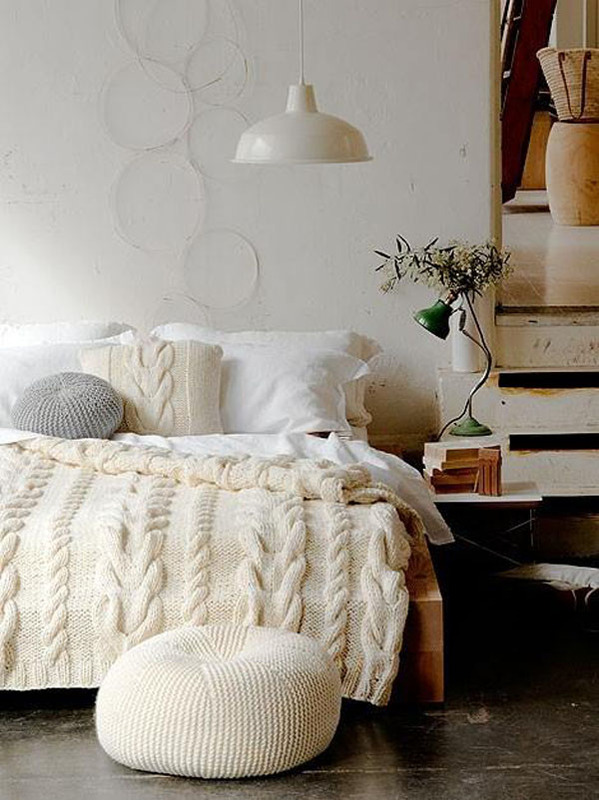 Here is where knitted home accents have the potential to lure you to sleep on cold winter nights when snow is blowing outside. 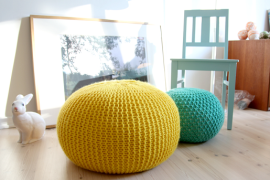 Something in between an armchair and a bed is the fluffy knitted bean bag. The NEST cushions by Zilalila are absolutely perfect for wintertime, especially since they’re hand knitted by the skilled women in Nepal using pure New Zealand wool and filled with handwoven cotton. 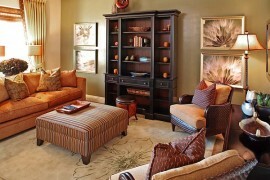 Curled up with a book and a warm drink, you can enjoy the best of winter privacy in the comfort of your own nest. 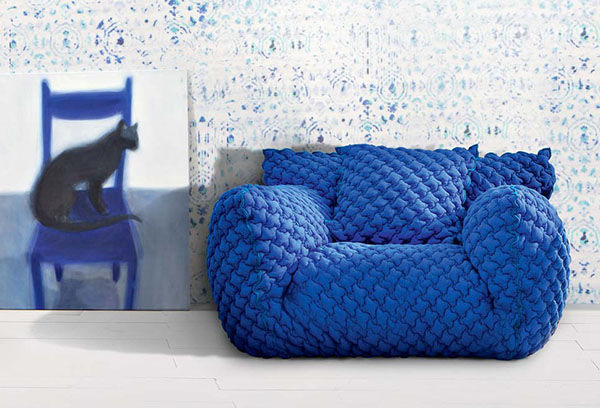 Textured and patterned, these contemporary bean bag chairs look amazing in airy interiors, serving as a stylish focal point. 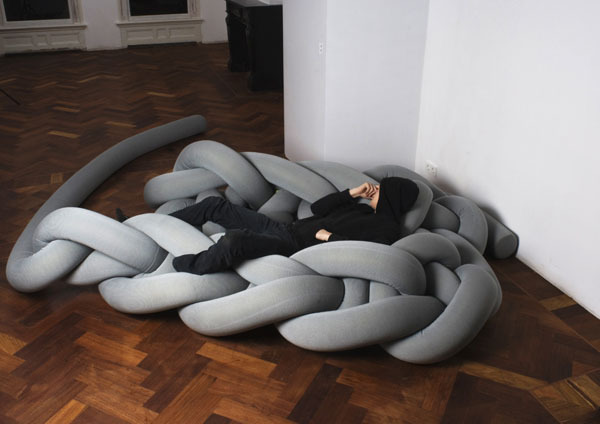 The Slumber Poufs by Aleksandra Gaca for Belgian company Casalis are absolutely lovely, and their display of woven material reminiscent of knitting showcases the artist’s knowledge of three-dimensional stretch fabrics. 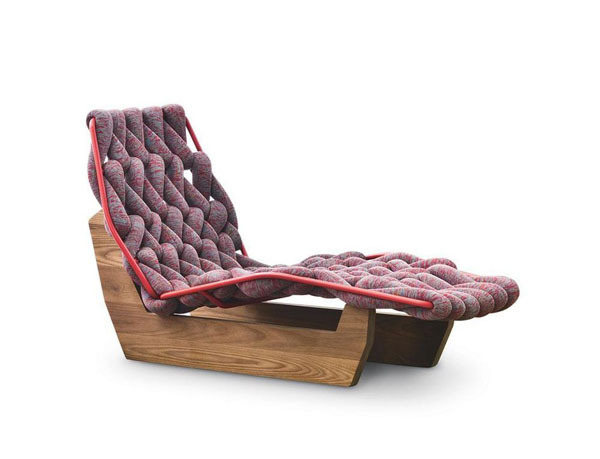 Swiftly guiding your thoughts towards wintertime, Patricia Urquiola‘s Biknit chaise lounge marries durable ash wood with oversized cords woven on a powder coated steel frame. 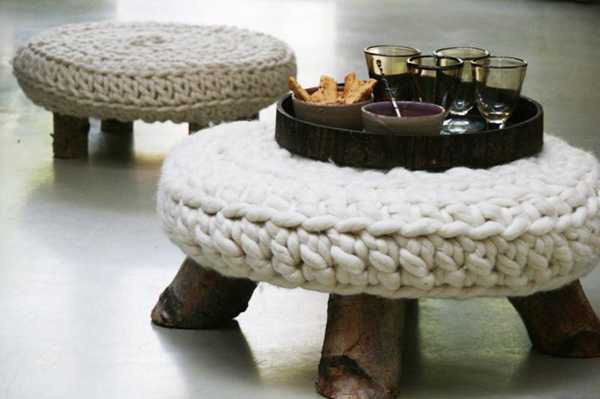 Let your imagination tie and untie ideas while indulging in relaxing moments on the Phat Knits by Bauke Knottnerus. 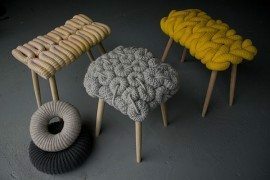 These oversized knitted threads are honor the shape of spectacular knitted pieces: “it’s more like creating media that can be used to construct a coat or a carpet or a curtain”. 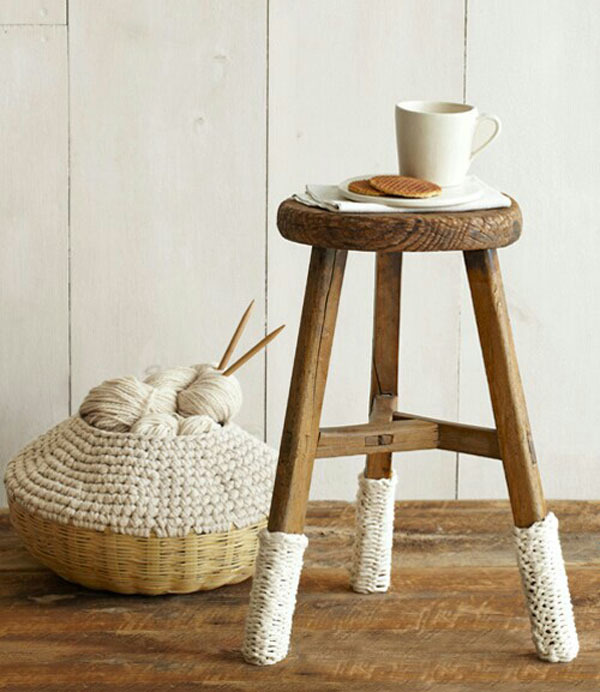 Knitted “shoes” for a tall stool keeps the atmosphere cozy. 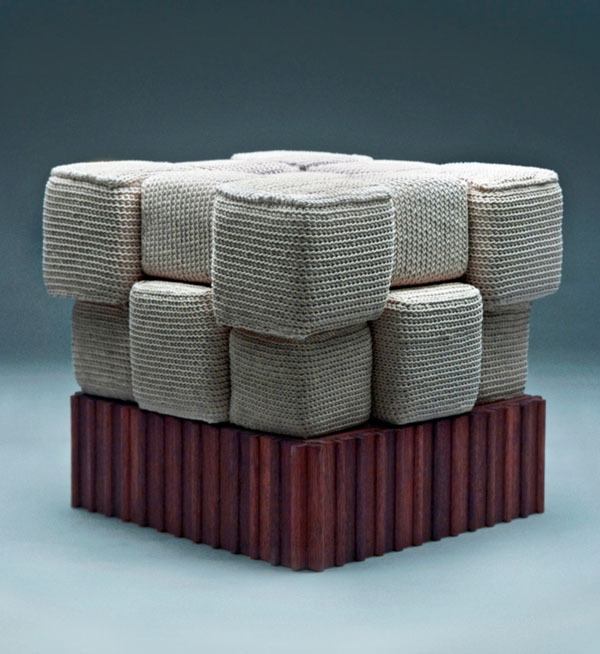 Cubes – 18 crocheted cubes sewn together on a Meranti wood base. 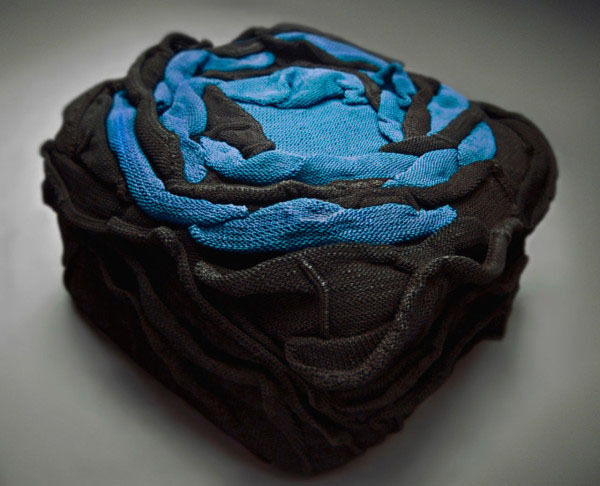 Stormy Rose pouf made from 78 knitted petals of black and blue polyester thread. 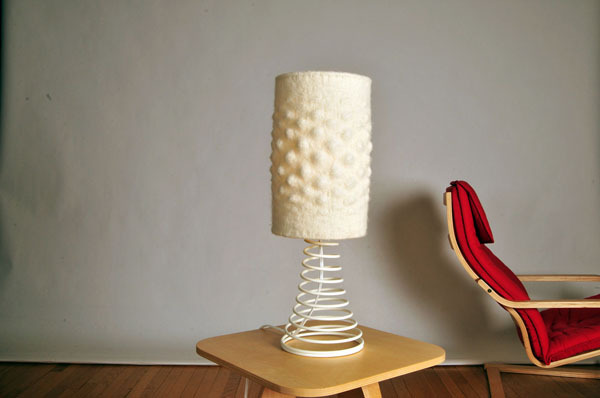 Chairs have also received attention from designers who chose knitting as part of their artistic expression. 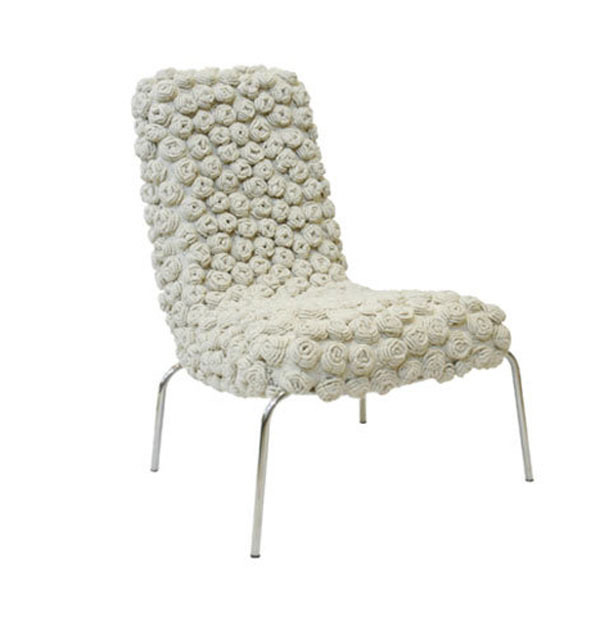 The Knitted Chairs by Eulália de Souza Anselmo have a romantic side, showcasing knitted flowers all over the seat and back rest, all the while contrasting the metal legs. Sometimes you just want to cuddle up in a blanket and read a good book. 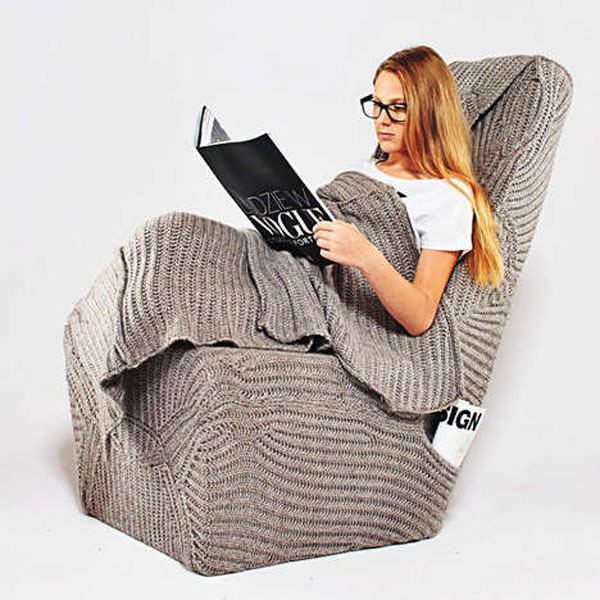 This is where the Autumn/Winter Blanket Chair by Poland-based fashion and interior designer Ana Brzostek comes in – it nests you in the knitted sweater-like material that is both removable and adjustable. 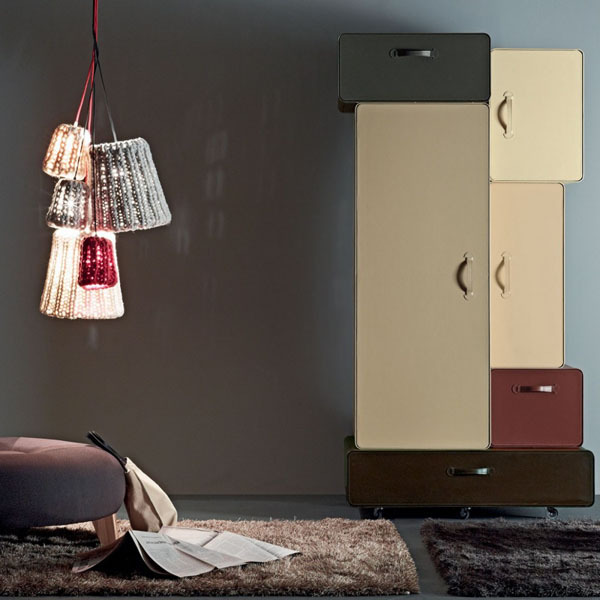 Nuvola Collection by Gervasoni is available in different bold colors. 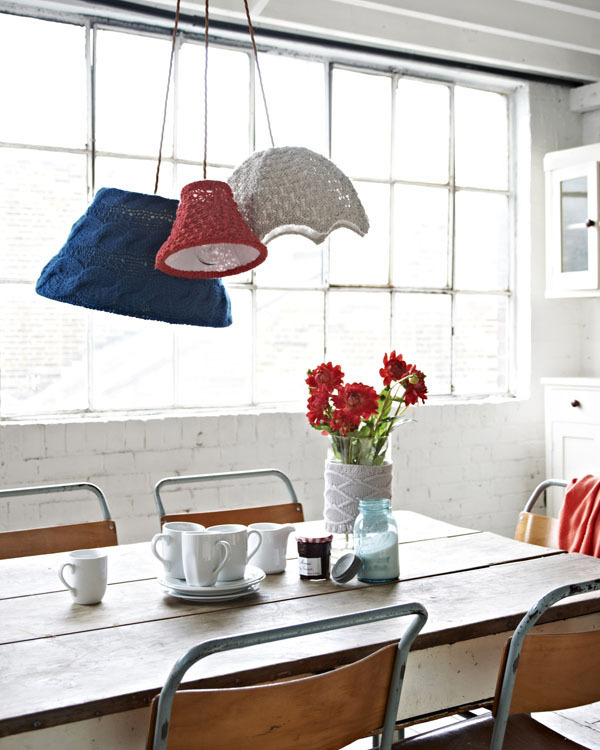 The Knitting Craftsman by Jan Rose – knitting high-tension stainless steel thread. 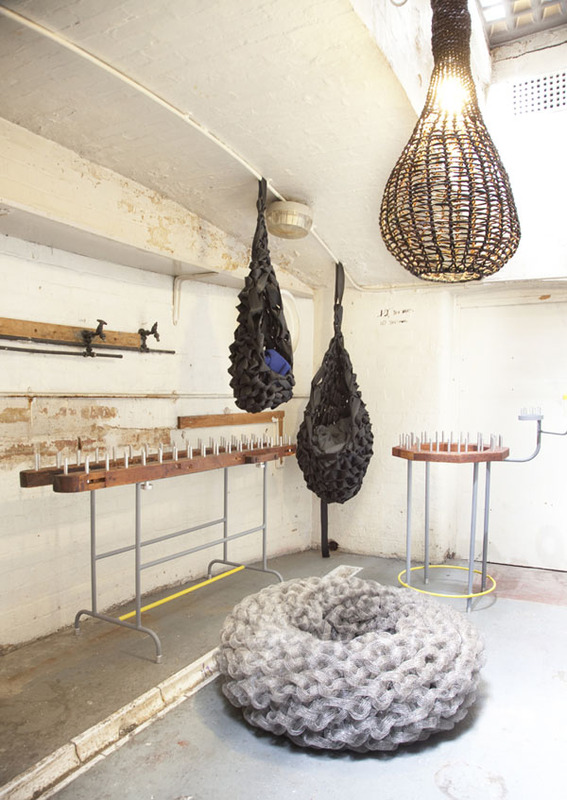 Knitted Series by Ariel Zuckerman and Oded Sapir. 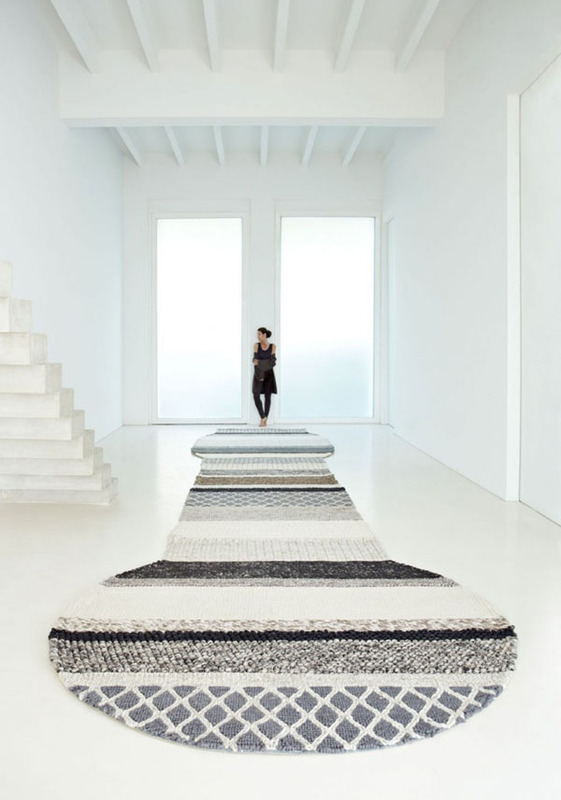 Patricia Urquiola’s Mangas Collection for GAN-RUGS includes both knitted woolen poufs and rugs that are deliciously reminiscent of childhood. 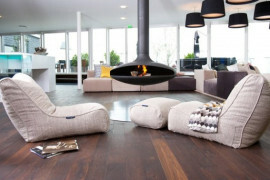 Coziness is ensured by the use of 100% virgin wool. 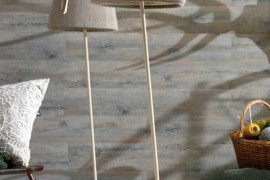 With a cotton back that holds it firmly in place, the rug collection fabricates a new perspective on contemporary furnishings. 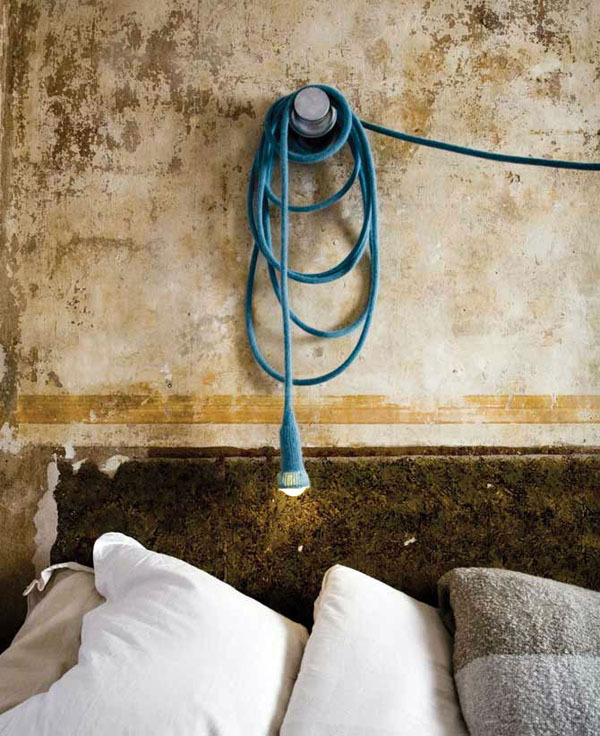 Even wallpaper can be of rustic inspiration. 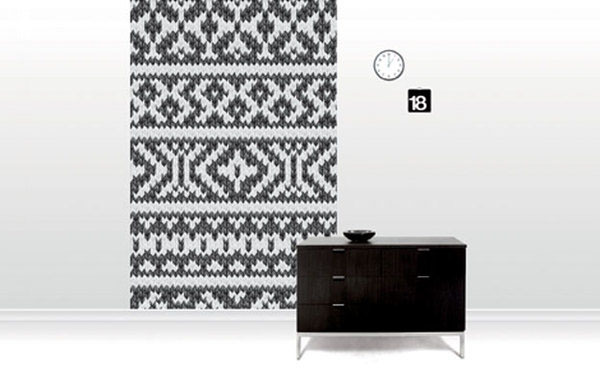 Check out the astounding Knitted Room wallpaper by Chae Young Kim – a trendy solution for walls displaying your love for knitting. 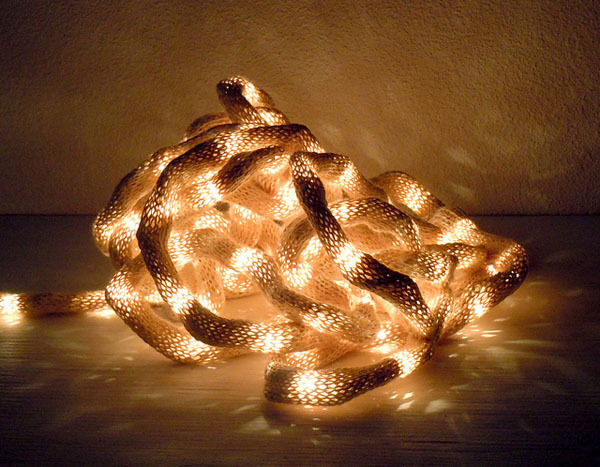 When a long, continuous string is woven into different patterns, stunning installations may result. 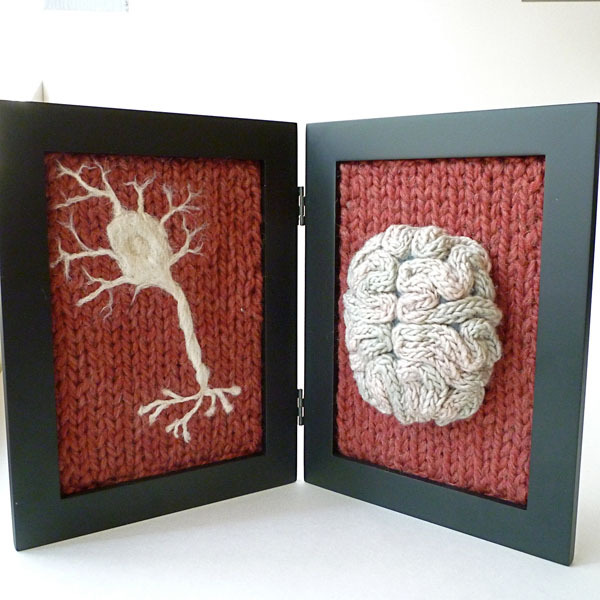 For example, Emily’s Etsy shop aKNITomy can help you decorate your home for winter with knitted anatomy. 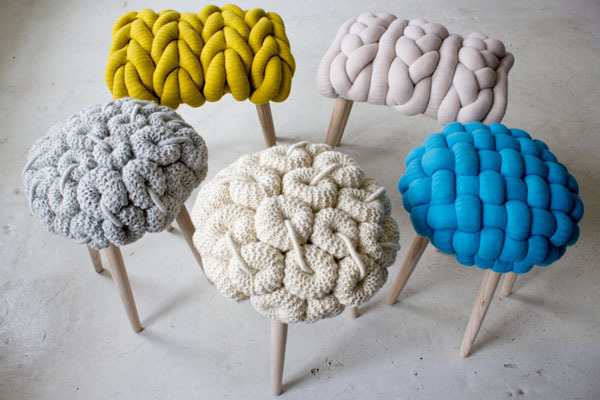 Check out these hand-knitted brains and felted neurons – now that’s an unusual way to decorate! Faux taxidermy provokes creativity in shape, materials, colors, textures or animal representations, but its roots can still send shivers down your spine. 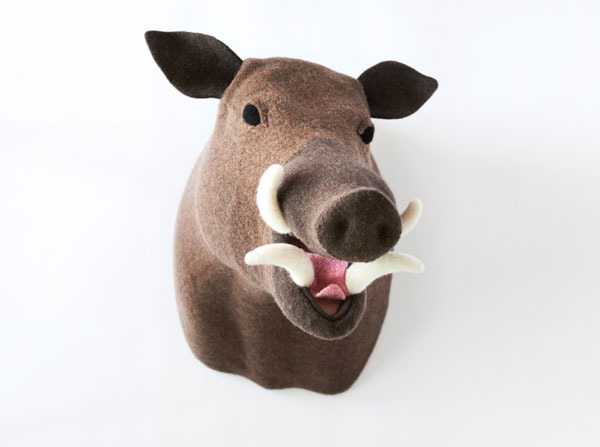 Done using a domestic knitting machine, animal heads like the one in the photo above describe how a passion can be reinterpreted with no impact on the well-being of animals. Collected under the name “The Knit-Heads”, these felt and 100% lambs wool mounted creatures were designed by London-based art director Jessica Dance. And where would we be without controversy? 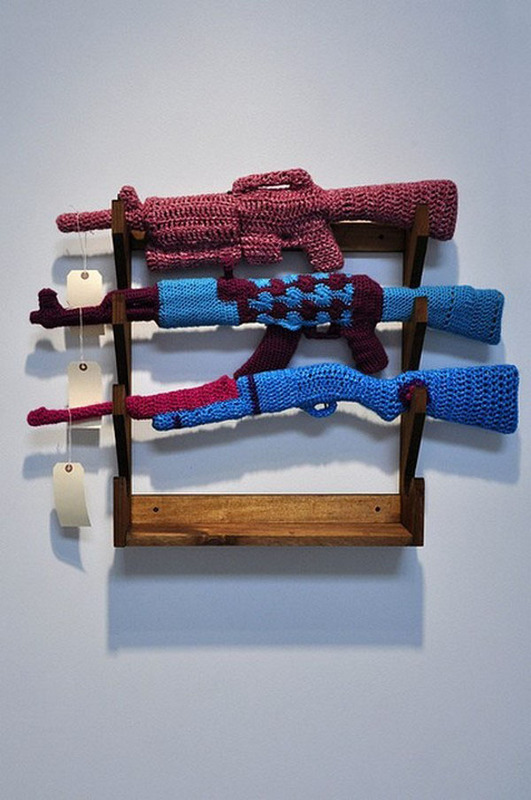 Artist Monte A. Smith’s Gun Store art installation features knitted “clothes” for a series of guns. This knitfitti trend expresses the artist’s concern for our freedom and creativity. 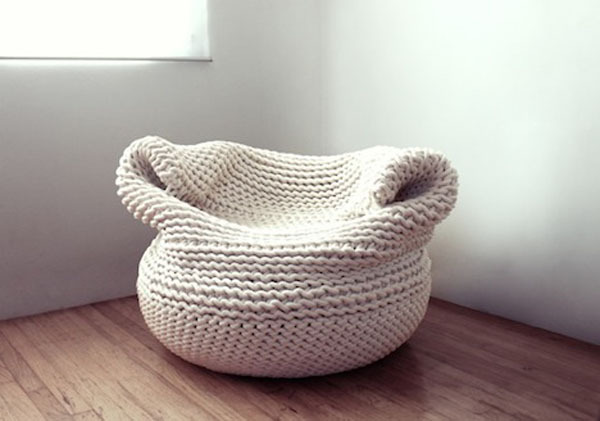 So, how creative can you be with knitting?